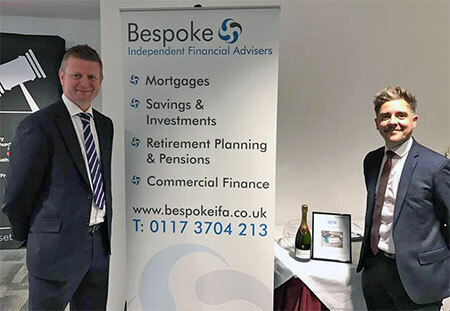 Bespoke IFA are a team of experienced Independent Financial Advisers and Independent Mortgage Advisers based in Bristol. We believe that the UK financial services industry is fragmented, with much of the advice being too narrowly focused on products supplied by a single or a small number of firms. Advice like this is typically provided by restricted financial advisers, as well as some Banks and Building Societies. Unlike a large number of firms we have resisted becoming a firm providing ‘restricted’ financial advice. We are fully independent. This means we have no tie with any single provider. Our advice is based upon a comprehensive and fair analysis of the entire financial services market, which results in our clients receiving advice that is truly bespoke, unbiased and personalised. What’s more, we offer this service at a cost that is lower than many restricted advice firms. With many years of industry experience, gained at some of the world’s largest financial institutions, you can be assured the financial advice needs of you or your company are in safe hands at Bespoke Independent Financial Advisers. We have access to the entire residential Mortgage market and Buy To Let mortgage market. Residential mortgages, remortgages, mortgages for first time buyers and home movers. Buy to let mortgages, HMO’s and large portfolios. Bridging loans with funds released in just 7 days from application. Mortgages for those with poor credit scores, defaults or late payments. Mortgages for those who have been declined elsewhere. Mortgages for limited company directors with as little as 1 year’s accounts. Mortgage Capacity Assessment Reports for use in court by solicitors or their clients. Shared ownership – Purchase, Remortgage, Staircasing. Bespoke IFA are a member of the Association of Mortgage Intermediaries. If you are looking for advice on your current pension scheme or if you are simply looking to release money from your scheme in the most tax efficient way, we are able to help. Bespoke IFA advises on all aspects of retirement planning, including the most tax efficient ways to invest, understanding the various options at retirement and managing income post retirement. Our advisers offer advice across the financial spectrum. All fee’s for our services are disclosed before any work is undertaken so our clients know exactly where they stand and can make an informed decision.